Sheet Metal Workers Local 26 in Reno Nevada was established in April 12th, 1942. 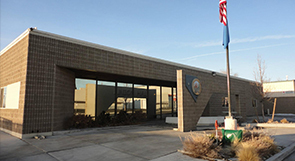 Local 26 office is in the city of Sparks NV 5 miles East of Downtown Reno, SMW local 26 jurisdiction consist of 13 Counties in the North part of the state of Nevada. Our members are part of the building and construction trades. In shops- we layout, fabricate and assemble sheet metal products. In the field- Our member install these sheet metal products in the buildings and on construction projects.